BlackRock, Fidelity and other U.S. mutual fund companies are pushing back against claims that some firms may be too big to fail. U.S. mutual fund companies are pushing back against claims that some firms may be too big to fail, saying that singling out a few large money managers and subjecting them to more regulation would hurt competition and ultimately fund investors. 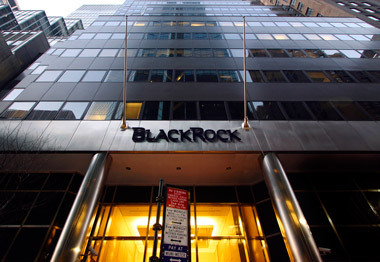 ICI members including BlackRock Inc., Pacific Investment Management Co. and Fidelity Investments, have been lobbying regulators and lawmakers to avoid being labeled by U.S. and international regulatory bodies as systemically important financial institutions. The designation could lead to tighter capital, leverage and liquidity rules like those faced by banks. The U.S. Financial Stability Oversight Council, which includes the heads of the Federal Reserve and the Securities and Exchange Commission, is studying whether New York-based BlackRock and Boston’s Fidelity should receive the label. FSOC officials haven’t explained publicly how or when decisions about asset managers will be made. The Financial Stability Board, which brings together regulators and central bankers from the Group of 20 nations, said in January individual funds that manage more than $100 billion may be labelled too big to fail without concluding what actions should be taken. Eleven U.S.-registered mutual funds, led by the $277 billion Vanguard Total Stock Market Index Fund (VTSMX), and one exchange-traded fund hold more than $100 billion in assets each, according to data compiled by Bloomberg. If companies or funds are designated systemically important, Stevens said, bank-like regulations could result in additional costs for investors. “It would not take much in added fees, assessments, and capital costs to increase significantly what these funds would have to charge their shareholders, making them less competitive and less attractive to investors,” he said. Stevens, 61, argued that designation is unnecessary for retail funds because they rarely use leverage and are already tightly regulated. Fund companies also don’t put their own money at risk and don’t need capital to absorb investment losses, he said. “Unlike banks and insurers, asset managers are agents, not principals,” Stevens said. FSOC was established under the 2010 Dodd-Frank Act, in part on the premise it would be pointless to tighten rules for banks if other big financial players could take risks without enough oversight. The panel is headed by Treasury Secretary Jacob J. Lew and includes Mary Jo White, who heads the SEC, the primary regulator of the funds industry. –With assistance from Robert Schmidt and Ian Katz in Washington.